Currently, Carnival has two ships that call Galveston home, the Carnival Cruise Magic and the Carnival Cruise Triumph. The Triumph is the smaller of the two ships, with passenger accommodations for up to 2758. She is dedicated to the great cities of the world and her many dining options are all named accordingly, whether you choose to dine in Paris, London or South Beach. The Magic can carry up to 3690 passengers and has Carnival WaterWorks, not to mention a half-mile outdoor promenade deck for leisurely strolls in the moonlight. At 1004 feet long, and with a crew of 1367 this ship is packed with fun, finding something for everyone to enjoy an easy task. Carnival is not the only company who sails out of this port, Royal Caribbean Galveston also offers cruises to the Caribbean and Mexico from Texas, but Carnival has the advantage for many people because they have two ships sailing from the port and their Carnival cruise prices cannot be beat. 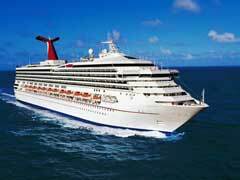 Carnival Cruises from Galveston offers a 5-day sailing from just $289pp. that features stops in Progreso, Yucatan and Cozumel. Their 7-day cruises aboard the Magic start from $499pp. and have stops in Montego Bay, Jamaica, Grand Cayman and Cozumel. Other cruise deals from Galveston include the 4 day mini-getaway to Cozumel aboard the Triumph with prices that start at just $314pp. Carnival Cruises from Galveston offer travellers easy check in and departure facilities with easy access to the highways and airports that serve the area. With amazing access to the Gulf of Mexico, this port allows you to be out on the open sea in about 30 minutes, getting you on your way to your destination with minimal hassle. Carnival prides itself on being the number one cruise line in the industry and thousands of passengers each year agree. Being able to cruise from a port close to home cuts down on the vacation costs, and offers you a ‘get there and go’ type trip without airport hustle and bustle that adds time and more importantly money into the equation. Carnival Cruises from Galveston can’t be beat for affordability, and more importantly, the fun!